The suspect identified in the Friday airport shooting in Florida that left at least five people dead was from Anchorage, where he lived for at least two years and served in the Alaska Army National Guard until his discharge last summer. The FBI and the Broward County, Florida, Sheriff's Office identified the gunman as Esteban Santiago, 26, of Anchorage. Public records show that Santiago, born March 16, 1990, lived in Anchorage, registered to vote here in 2014 and applied for Alaska Permanent Fund dividends in 2015 and 2016. FBI agents searched the Fairview home Friday where Santiago lived with his girlfriend and child. Agents and Anchorage police also went door to door at the Qupqugiaq Inn on 36th Avenue, where around 7 p.m. Friday they ordered guests and staff to evacuate their rooms. As the guests and staff mingled outside the inn and in its lobby, agents and police declined to say what connected the place to Santiago. Police wrote down the tenants' names and evacuated them from the building. An Anchorage officer said police were providing security and she could not provide any other information. 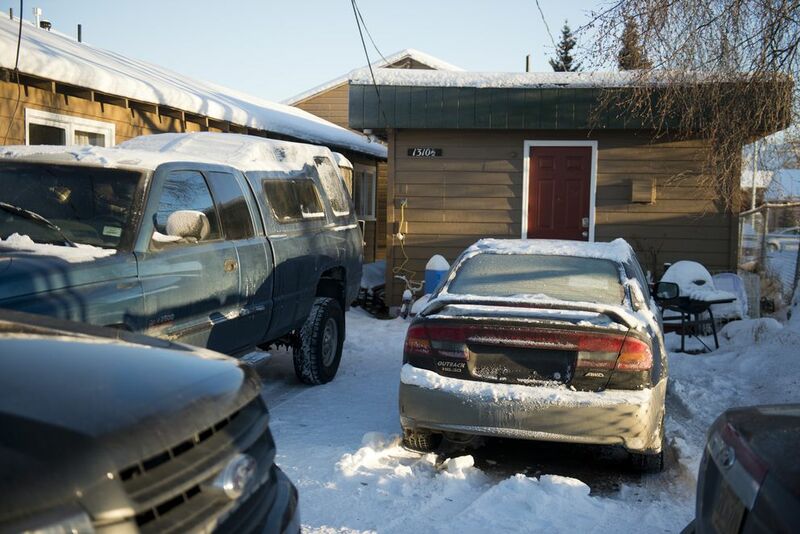 Qupqugiak tenant Michael Pagliarella said police asked him to leave for four hours or longer. Pagliarella said the officers told him they "were not at liberty" to say what was happening. After an hour, law enforcement officers were the only ones left in the building. Qupqugiak Inn general manager Chris Stephens said in a phone interview from Portland, Oregon, that hotel staff were "currently assisting the authorities with an investigation and unable to comment at this time." Stephens declined to say what authorities were investigating. But the presence of city and federal officers escalated as the day wore on. Two police squad cars were stationed outside the Midtown hotel Friday afternoon. By evening, another patrol car had arrived, along with an unmarked van towing a small trailer. A U.S. Department of Homeland Security truck was also stationed outside the inn. Police officers on scene said they were assisting the FBI in an investigation but declined to answer questions. Alaska FBI spokeswoman Staci Feger-Pellessier said in a text message Friday night that the agents were in the middle of "an ongoing investigation." She said she could not comment further. Santiago was reported to have suffered serious mental illness that might have been worsened by a military deployment to Iraq some six years ago. An FBI official in Florida said Santiago had turned himself in to the FBI in Anchorage last year, complaining that the CIA had taken control of his mind and was directing him to view ISIS material on the Internet. The FBI passed his name to Anchorage police, but what kind of treatment he received, if any, was not known. 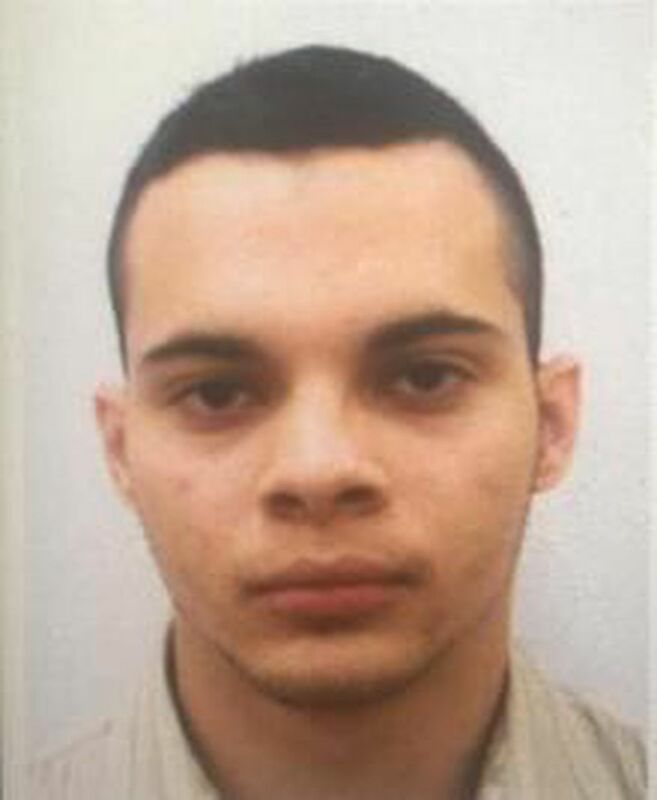 The FBI office in Anchorage would only confirm that Santiago was the suspect in Florida. "At this time, the Broward County Sheriff's office in Florida is the lead investigative agency in the shooting at the Fort Lauderdale-Hollywood International Airport," said Feger-Pellessier in Anchorage. "The FBI Anchorage Field Office is aware Esteban Santiago is an Anchorage resident. We are assisting in the investigation in any way we can and have no further statement at this time." Initial reports said the shooter had arrived in Fort Lauderdale on a flight from Canada, but Reuters news agency reported that Canadian Embassy officials in Washington, D.C., said he was on a flight that originated in Anchorage and flew to Fort Lauderdale by way of Minneapolis. NBC quoted law enforcement officials as saying that he flew on Delta from Anchorage to Minneapolis, then caught another Delta flight to Fort Lauderdale. Santiago didn't have much of a court record in Anchorage. But he was charged in an Anchorage domestic violence case in January 2016 when his girlfriend called police to complain that he had tried to bash in the bathroom door in her small home in Fairview on Medfra Street, according to a criminal complaint filed in Anchorage District Court. The girlfriend called police and reported that her boyfriend was angry and "was yelling at her while she was in the bathroom." When an officer arrived, Santiago was gone. The bathroom door was smashed off the frame. Santiago was charged with assault and criminal mischief. The girlfriend said Santiago cursed her, ordered her to leave the place, tried to strangle her and smacked her on the side of her head. But the police officer reported he didn't see any injuries on her. A month later, in February, Santiago was accused of violating his conditions of release on the January charges. Police checking up on him found him at the girlfriend's house, though he had been ordered as a condition of release to stay away unless police were at hand. On Friday afternoon, police were guarding the Fairview house, and an officer stopped a reporter from knocking on the door, saying agents were inside. Santiago's name was on a mailbox at the home, as was that of the girlfriend and another person with the last name of Santiago, perhaps his child. The FBI appeared to be searching the home. Several FBI agents, one wearing rubber gloves and carrying a clipboard, emerged from the home around 3 p.m. after spending hours inside. They declined to answer questions. Agents and police remained outside the home — a tiny square structure at the end of a row of small apartments with a small Puerto Rico flag in one window — into the evening. They wouldn't allow reporters to approach the door. Santiago first appeared to be living in the home about a year ago along with a woman and two young children, said Pamela Van Dyke, who lives across the street with her two grandchildren. She said neighborhood children would play with the kids living in Santiago's home. But something about Santiago made Van Dyke uncomfortable, she said, and made her hesitant to let her own grandchildren play there. "There was something not right," she said. "I could feel it." Another neighbor, who declined to be identified, said people living in Santiago's house were quiet but "always busy at night," and had a large group of visitors on New Year's Eve. In the summer, the neighbor added, "the door was always open." NBC reported that the suspect had a military identification. NBC said that it interviewed Santiago's brother, Bryan, who said Santiago had a girlfriend and a child in Alaska. The brother said Santiago had received psychological counseling in Anchorage. Lt. Col. Candis Olmstead, a spokeswoman for the Alaska Department of Military and Veterans Affairs, said Santiago was formerly a member of the Alaska Army National Guard. He received a general discharge Aug. 16, 2016, for unsatisfactory performance, Olmstead said. Olmstead said Santiago joined the Puerto Rico National Guard on Dec. 14, 2007. He deployed to Iraq with the Puerto Rico guard from April 23, 2010, to Feb. 19, 2011. He joined the Alaska guard in 2014 from the Army reserves and served as a combat engineer at the National Guard Armory on Joint Base Elmendorf-Richardson, reaching the rank of private first class, Olmstead said. 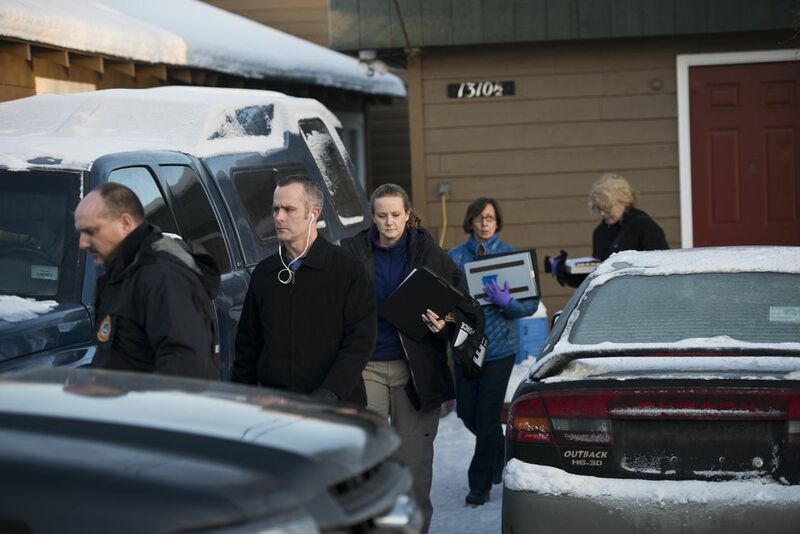 A spokeswoman for the Anchorage Police Department, Renee Oistad, declined to comment about the shooting suspect and referred questions to the FBI. Santiago registered to vote in Alaska in 2014, giving a South Anchorage address at a trailer court off West Dimond Boulevard. He was the defendant in a 2015 eviction case filed by Weidner Investment Services and had several motor vehicle violations. 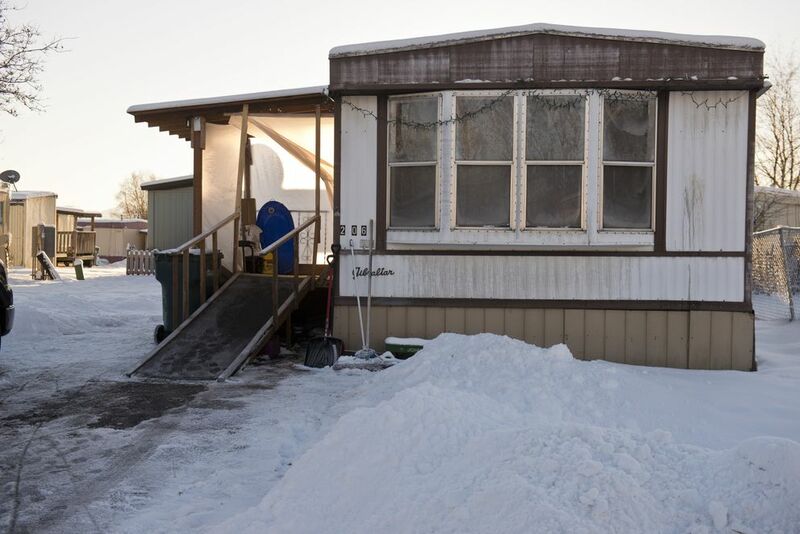 Santiago's landlord at the trailer park, Victor Hurtado, said Santiago lived there through November 2014. Santiago told Hurtado then that he was leaving to go into the military, which he said would pay for his housing and for college. "He seemed like a nice guy. He was cool," said Hurtado, interviewed at the Midtown restaurant where he works. Hurtado said he only saw Santiago when he dropped off the rent every month but talked to him then. Santiago originally came to Alaska with a brother, Hurtado said. Santiago first rented the four-bedroom trailer from Hurtado's brother, who sold the trailer to Hurtado during 2014. Santiago took charge of the trailer and collected rent from other people living there, Hurtado said. Santiago was still getting his mail at the trailer, Hurtado said. He didn't know why.